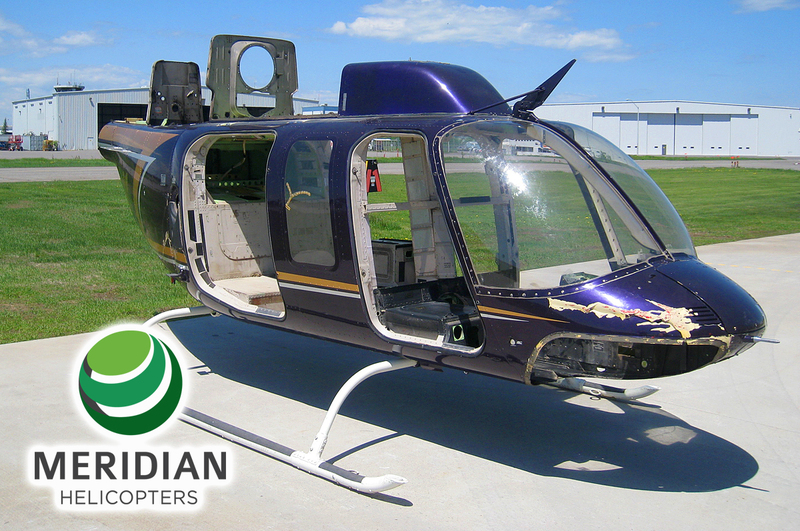 Meridian Helicopters delivers results. 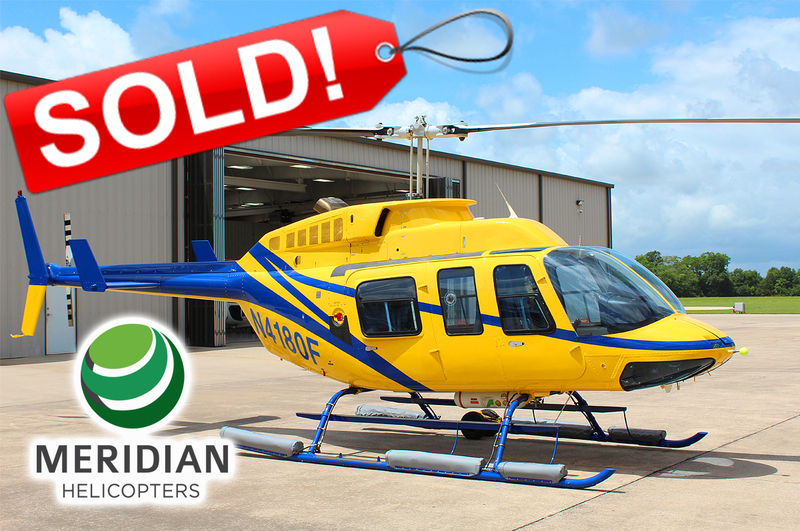 For sellers, we’re committed to selling your helicopter for the highest value – in the shortest period of time. We know the helicopter market, through our intelligent resources we remain current with the market ensuring the realistic valuation of your aircraft. Our extensive marketing strategies include a photo listing on our globally high-ranked website, photo listings in the top three aircraft directories plus our monthly e-newsletter sent out to over 2,000 qualified helicopter operators – worldwide. Our FMV (Fair Market Valuation) model combines the most current bluebook values as released by Helivalues and an analysis of all component/engine TBO and airworthiness limitations items. Through this approach we look at the time remaining on the key components and then take into consideration the value of the individual components. This determines a weighted component time remaining on the helicopter. This is the primary driver in the FMV and is used in the determination of the base value of the aircraft. The secondary drivers consist of the total airframe time in comparison with the current market, avionics/equipment options, the historical usage of the helicopter and it’s cosmetic appearance. Fixed and variable aircraft operating costs as well as projected maintenance required over a term. Whether your aircraft is mission equipped for a niche or broad scale market our approach to marketing of any aircraft covers the bases. Our highly ranked website offers buyers an intimate look at an aircraft for sale detailing all specifications pertinent to any buying audience. Your aircraft is also presented on the highest 3rd party aircraft sales websites in the world with all geographic regions covered and any demographic considered. We maintain our own email campaigns sent twice monthly to thousands of aircraft owners, buyers and sellers across the globe. Most importantly, we believe there is no substitute for the relationships we maintain and the direct business to business opportunities that are available to any aircraft seller as a result. Our commitment to every aircraft seller is to be by your side through to the close of escrow in the sale of your aircraft. Beginning with the letter of intent by a prospective buyer through all negotiations to the formal execution of a purchase agreement, our experience will ensure that no steps are missed in the transaction. We will assist in all transfer of ownership to ensure title, airworthiness, export, compliance with international laws and logistics requirements are met for a successful sale and buyer/seller piece of mind. Leasing allows companies to have the freedom of a helicopter while avoiding long-term company expenses. With utility and high-end VIP-style Bell 206L3 & 206L4 helicopters available for lease. Leasing provides executives with the option to travel in style. Enjoy the benefits of riding in an air-conditioned Bell 206L3 or Bell 206L4 Long Ranger helicopter equipped with state-of-the-art avionics packages. Take advantage of a helicopter that will fit your schedule and impress your clients by being available at their convenience and not at the schedule of an airline. When time is of the essence, we can help you save that time, because time is money. Meridian Consulting LLC specializes in maintenance related issues, pre-buy inspections, completions or heavy maintenance. We can give your company smart intelligent insight and understanding into proper helicopter maintenance procedures and related processes. Meridian Consulting LLC can be your advisor. With so many unknowns into the history of an aircraft, we can assimilate and direct you in the right direction. With analytical and critical inspection criteria, we can examine aircraft and records to give you reasonable facts to make sound judgements for your organization.